V4 Ministers of Defence have adopted the Joint Statement of the Visegrad Group Ministers of Defence on the Brussels NATO Summit, in which they recognize that close regional cooperation in the field of defence has important added value in defining and implementing effective collective solutions. In the Declaration, they emphasize that fair transatlantic burden-sharing is a key pillar of NATO unity and solidarity. Honouring the Wales and Warsaw Defence Investment Pledge is therefore of primary importance. They reaffirm that they are on a publicly declared track to meet the commitment to expend 2% of the GDP annually on defence by 2024. 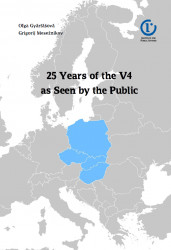 The V4 acknowledges the need to further reinforce the culture of military readiness throughout the Alliance and supports the implementation of the NATO Readiness Initiative (NRI). Whilst embracing the Allianceʼs 360-degree approach, the V4 remains committed to the success of NATO’s Resolute Support Mission in Afghanistan, support the transformation and expansion of NATO’s training activity in Iraq into a regular mission, and support joint Polish and Slovak efforts in the framework of NTCB-I to train Iraqi personnel in the maintenance of Soviet-era military equipment. Furthermore, the Ministers also welcome the significant results of deepening NATO–EU cooperation, noting that remarkable progress has been made in key areas such as parallel and co-ordinated exercises, countering hybrid threats, cyber security and operational cooperation in the Mediterranean to help tackle illegal migration. They take note that NATO has visibly strengthened its deterrence and defence posture, demonstrating that it stands ready to respond to any threat from any direction. On the Eastern flank this involves, inter alia, the deployment of enhanced Forward Presence in the Baltic states, as well as the strengthened role of Multinational Corps North-East in Szczecin and the establishment of Multinational Division North-East in Elbląg. The Declaration is the first joint statement of V4 Ministers of Defence during the Slovak Visegrad Group Presidency, which Slovakia took over on 1 July 2018.